Folkmoot 2016: viva la France! 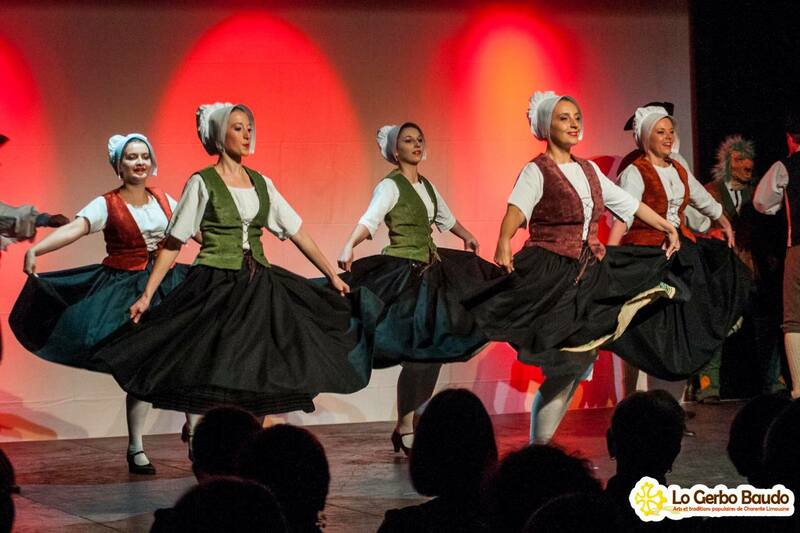 We just might hear the exhortations during Folkmoot 2016: viva la France! Viva la danse folklorique! 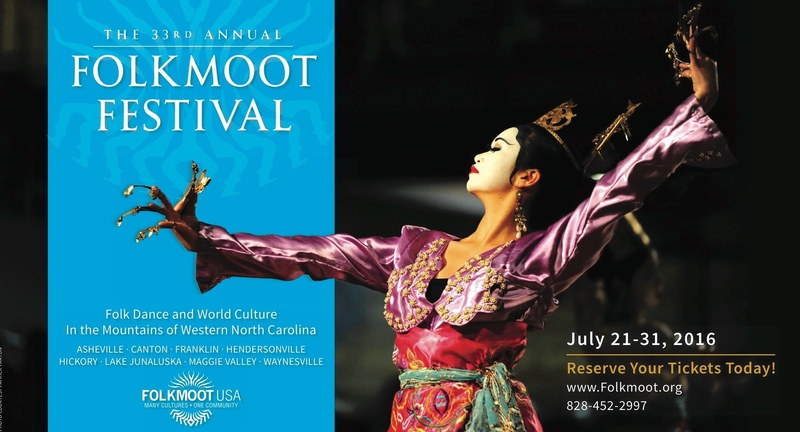 One of the best known (and best loved) folk dance troupes in the world, Lo Gerbo Baudo, will be a featured performer in this year’s festival and with them come the deepest roots of international folk dance festival history. France held its first folklife festival in Confolens in 1958 and two years later, Lo Gerbo Baudo was formed. Today, you can find them on Facebook! This group of passionate artists has done its best to revive French culture through dance, music, and costumes. Through hard work and research the group has managed to restore costumes from the 18th -20th century. The women’s costumes consist of linen or straw hats, hemp shirts, skirts, and aprons. The men wear straw or woolen caps, velvet pants, and gaiters. The more festive attire involves dresses and stockings for the ladies, and white shirts, vests, and trousers for the gentlemen. The orchestra practices traditional French music with the bowed string, bag pipes, chabreta, cabreta, and accordion. Through dance, Lo Gerbo Baudo shows traditions of marriage, carnival, and the work of everyday life. Confolens is the home of one of the most prominent among CIOFF® (International Council of Folk Festivals and Traditional Arts) International Festivals, “Festival de Confolens,” which is today in its 59th year. The founder of CIOFF® was the late Henri Coursaget, who was also the founder and Director of Festival de Confolens. Lo Gerbo Baudo was started in 1960 to represent Confolens and its Festival and continues today to honor the memory of Coursaget. The group has performed in over 25 countries worldwide, including participation in a great number of CIOFF® International Festivals. 50ème 2007 – Partie 1 – Javerdat from logerbobaudo on Vimeo.